Calling ALL green industry related businesses! Gardenality is an information-based, interactive website all about landscaping and gardening. Both gardeners and green industry-related businesses are allowed to join Gardenality, for free. From the beginning, the intention of the Gardenality Founders was to bring home gardeners together with the experts and suppliers of gardening-related products. Gardenality BETA was launched in 2011. During the test drive it has experienced organic growth resulting in over 8,000+ registered Gardenality.com members, over 10, 000+ Twitter® Followers, 4,100+ Facebook Likes and a 1,200 and growing Pinterest community following as of June 2013. Traffic to Gardenality has been quite remarkable considering it has been all organic, with no SEO. During 2013 there has been an average of 40,000 unique visitors and 150,000 page views per week. Members and visitors to Gardenality are using the site to find gardening information, create Virtual Gardens, ask and find answers to questions in Ask Experts and, last but not least: to use the "Where to Buy" source links on Gardenality Plant Files to find the plants they need to accomplish their gardening projects. Product Files are coming in 2014! During the BETA, Team Gardenality has used two companies to test the “Where To Buy” source links found on many of the Gardenality Plant Files. Each of these companies created a Gardenality Business Profile and then added their profiles/businesses as “Where To Buy” sources on many Gardenality Plant Files. As of August 1, 2013, the Wilson Bros Nursery & Garden Center Gardenality Business Profile had received 142,243 page views, resulting in substantially increased sales at their land-based location. For example, Wilson Bros Nursery & Garden Center sold 72 pallets in one year of a commercial-grade lawn fertilizer based on traffic to this "Do-It-Yourself Lawn Care Program page, which was published in their Gardenality profile! During 2012 and 2013, over 70% of the traffic to GardenerDirect.com came directly from visitors who clicked on the “Where To Buy” links on Gardenality Plant Files. GardenerDirect.com has experienced over 100% growth from 2012 to 2013. So, Gardenality is actually exceeding what its founders intended. Not only is Gardenality providing accurate gardening information it has proven to help its members and visitors find local and online sources for the plants and products they need to accomplish their gardening projects. Where is Gardenality going from here? For Gardenality to provide a true turnkey gardening experience to its ever-growing, worldwide base of members we must identify and establish relationships with the best of the best companies in the green industry, who make the best products and provide the best services. From commercial growers to manufacturers, who provide retailers with products, Gardenality is looking for companies who want to reach a new breed of customers who are excited to learn about their products. Gardenality provides nationwide green industry growers, manufacturers and service providers ways to reach individuals and small retailers who want to learn about their products. Rather than these companies seeking out customers, Gardenality reverses the norm by paving the way for customers seeking out companies and their products. Gardenality can help put your company directly in front of your target customers and build an innovative campaign that will redefine traditional marketing and usher in a truly unique marketing strategy built for the 21st century. This sponsorship is for companies who would simply like to associate and gain exposure for their brand(s) in Gardenality. All Gardenality asks it that your company provide a link to Gardenality.com somewhere on your companies website or web properties. 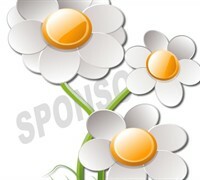 A 150 x 300 pixel advertisement that will appear in the top section of the right column on every page in Gardenality. In 2013, Gardenality is receiving about 150,000 page views per week and growing. This sponsorship is for companies who would would like to do more to help Gardenality provide a true turnkey gardening experience to its members and visitors. These paid sponsorship's are custom-tailored to the wants and needs of your company. Team Gardenality will create a page (Plant or Product File) for each and every plant or product your company offers. Plant and Product Files are quick to be viewed by members and visitors and obtain a high ranking in Google and other search engines. A 150 x 600 pixel advertisement that will appear in the top right column of every page in Gardenality. In 2013, Gardenality is receiving an average of 150,000 page views per week and growing. If your company would like more information about the many benefits of becoming an approved Gardenality Sponsor, please fill out the form below. We look forward to hearing from you and will promptly be in touch! Thank you for contacting Gardenality Sponsors. A member of Team Gardenality will be in touch with you soon. Enjoy your day!